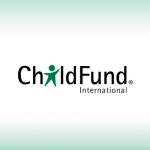 ChildFund seeks a Project Director to support an upcoming, DFID-funded, project titled “Advancing Girls in Learning and Empowerment (AGILE)”. This effort aims to increase basic literacy, numeracy and other important skills of out of school “illiterate” adolescents girls, 10 – 19, in Uganda and Zambia, to enable them to either re-enroll in school, vocational trainings, or gain employment or self-employment or improve the quality of their family life. The successful candidate will provide the project with overall vision, leadership and guidance – internally with project staff and externally with DFID or PWC, the governments of Zambia and Uganda, and other donors and stakeholders. Moreover, the Project Director will assume principal responsibility for overall project management and technical operations to ensure project tasks are completed and objectives met. S/he will lead the team, serving as the primary point of contact with DFID. The Project Director will manage the preparation and presentation of all proposed implementation plans and reports, as well as any other duties required that may arise during the course of the project. Maintaining productive working relationships with DFID clients, project partners, and key counterparts. Senior-level professional with a minimum of ten (10) years of progressively responsible experience in working in development, with a recognized expertise and experience in women’s empowerment or girls education programming. To apply please visit childfund-hr.silkroad.com.